Click “Register Now” at the bottom of the Site Login box. Complete the registration. You will need your Medica ID card for this step. 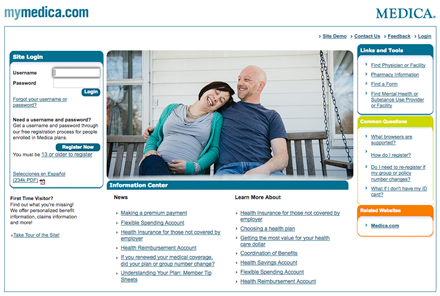 Once you are logged into mymedica.com, click the “Health & Wellness” tab. Update your profile with the email address where you want to receive gift card notifications. Begin working on health actions. We recommend you complete Compass first.